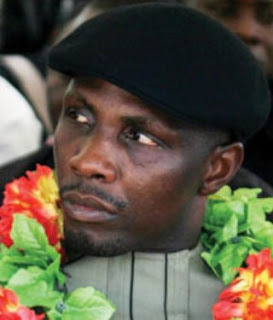 Former Niger Delta militants, weekend, urged President Muhammadu Buhari to prevail on the Economic and Financial Crimes Commission, EFCC, to leave ex-militant leader, Government Ekpemupolo, alias Tompolo, alone and follow the rule of law in its dealings with him. The erstwhile agitators, who met under the auspices of the Transformed Niger Delta Ex-militants Forum, asserted that some persons, who were envious of Tompolo, wrote a petition against him to the EFCC, but advised that the commission in the discharge of its duties should respect the rule of law. In a communiqué signed by its national president, Meshach Bebenimibo and others, they said, “We appeal to the President as a matter of urgency to instruct the EFCC to follow due process within 1999 Constitution as amended.” At the meeting held in Warri were Prince Bebenimibo, Bayelsa , Edo, Cross River, Rivers, Akwa Ibom and Ondo coordinators of the group, Peter Ayeebide, Austin Peremobowei, Korebor Minama, Anthony Youbai, Oluwah Michael and Oloye Tamarayende. “The previous government brought valuers and did all necessary legal things and collected VAT money before paying him about 90 per cent as agreed.